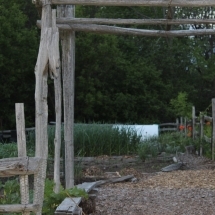 In 1800, the Doon area was settled by Mennonites of Pennsylvania Dutch origin, who established the first farms of any inland country in the western peninsula of Ontario. In 1834, Adam Ferrie, a Scotsman, built a settlement called Doon after Logh Doon in Scotland. These early farmers and other industrialists developed a nice community with a unique Mennonite and Scot heritage. The original Doon Village School was built by John and Benjamin Blair in 1877. First classes started January 3, 1878. There was an addition approximately ten years later, with electricity being added in 1932. A fire in January 1956 destroyed the original school building, forcing the teachers and students to struggle with temporary operations in two churches for one year. Reconstruction of he school began immediately, and the new Doon Public School opened in December of that year. Further additions took place in 1960, 1965 and 1983. As the City of Kitchener grew, so did the need for family housing. 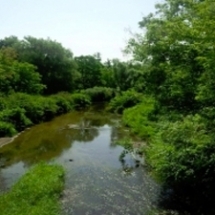 In January 1968 the City of Kitchener acquired land bordering the 401 to build the new subdivision of Pioneer Park. It didn’t take long for hundreds of young families to move into the new neighbourhood, sharing Doon Public School with the residents of the old village of Doon, and making new friends through various churches and community gatherings. Doon Public School was the site of the first meeting of the Doon Neighbourhood Recreation Committee in 1972. Together this thriving community developed adult fitness programs, youth and child recreation programs, a winter skating rink and an all day summer playground program. 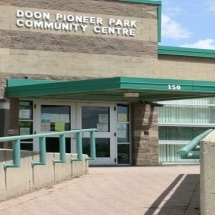 This committee grew and expanded many times over the next 10 years, until May of 1982 when it became the Doon Pioneer Park Community Association – a name that still lives today. We are one of the most active community associations in Kitchener. During that time our education system grew too. Pioneer Park Public School was built in 1977 as an acknowledgement that this community was growing and developing at an outstanding rate. St. Timothy’s opened in 1980. Brigadoon Public School and Blessed Kateri Catholic School were both built in 1992. Both schools have onsite preschool daycare facilities Conestoga College also provides daycare for children from infants up to 10 years old, and has school bus access to some of the schools. Doon Public School is now a Senior Public (grades 7 & 8) for all the kids of Pioneer Park and Brigadoon schools. Our community high schools are St.Mary’s (Homer Watson & Blockline) which opened in September 2002, and Huron Heights (Strasburg & Huron) September 2006. Local high school student have also attended Resurrection, Preston, Eastwood, Cameron Heights, Kitchener CVI and Jacob Hespeler for a variety of special high school programs, such as arts, International Baccalaureate, French Immersion, Enhanced Studies and Fast Forward.